3 hours * Guided Forest Bathing includes Invitations for deep relaxation, mental health and wellbeing. Create a Custom Personal Flower Essence and personal intention setting. Let the Forest be the Therapist, Jesse will be your guide. An opportunity for women to come together in community, connect with your wondrous, wild self, the natural world and each other. Rediscover yourself as a being intimately connected with the more-than-human-world. Explore both your inner and outer landscapes through a variety of facilitated experiences. Learn ancient teachings from the plants; make medicine from the land; deeply nourish your body and spirit; reconnect with your passion for life! Each day we will explore the mystery and magic of ourselves and the world in which we inhabit, make medicine, new discoveries and play. There will be a blend of solo, group and contemplative time. This 3 day Retreat will take place on The Mother Tree Land/Powell Butte Nature Park, comprised of 600 acres of pristine old growth forest and mountain meadows in beautiful Portland, Oregon. Jesse and Cat are both Certified Forest Therapy Guides and will offer their expertise in Herbal Medicine/Wild Edibles, Flower Essences, Storytelling, Life Doula practices and Authentic Expression. Indoors (shared space) $30/nt Outdoor (tent) $15/nt Onsite guest rooms, gypsy wagon, indoor and outdoor bathhouse facilities available. Your guides Jesse Remer and Cat Pantaleo, Certified Forest Therapy Guides with the Association of Nature and Forest Therapy. Jesse is an international doula trainer, flower essence alchemist and has led women's circles for over twenty years. She is the founder and owner of Mother Tree in Portland, OR. Cat is a highly experienced Wellness Educator, Integrative Health Practitioner and Herbalist who has spent over twenty years as a Naturalist in intimate and professional relationship with nature all over the west. Cat comes from Boulder, CO where she's made her home for many years. Your Guide: Jesse Remer, doula, childbirth educator, health advocate and Forest Therapy Guide in training. Jesse grew up in the deep forests of Northern California and Oregon and found her own healing through postpartum depression and significant life changes under the guidance of Trees she considers to be friends. 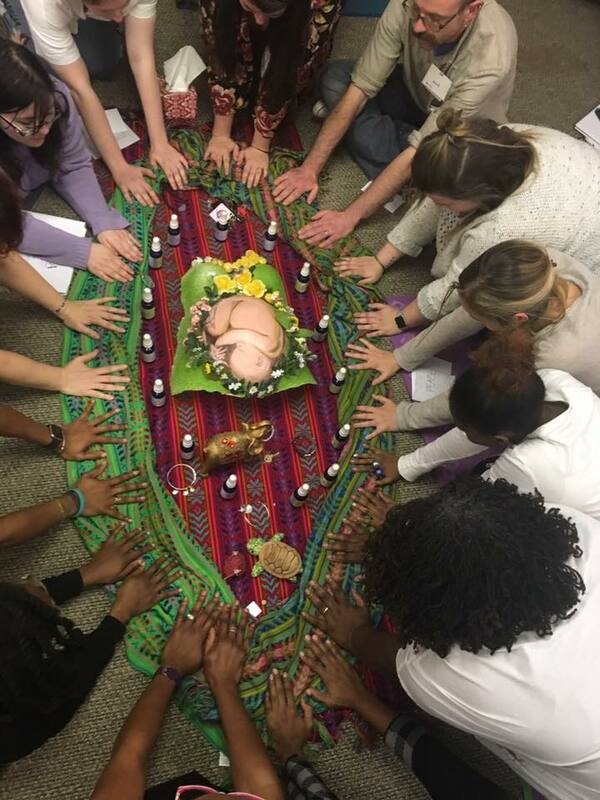 Her doula practice and retreat land Mother Tree, has integrated nature therapy practices for years (Nurture Your Mother Nature in Birth and Beyond) to assist birthing families to access the relaxation techniques and wellness generated by time in nature. She now supports groups from all "walks" of life to receive the benefit of these healthful principles. 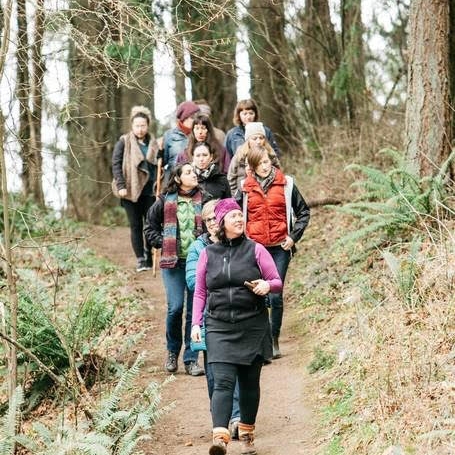 As your ANFT Forest Therapy Guide I will lead you through a series of invitations to mindfully experience nature and the Old Growth Forest of this renowned urban Park on the edge of Portland, Powell Butte. 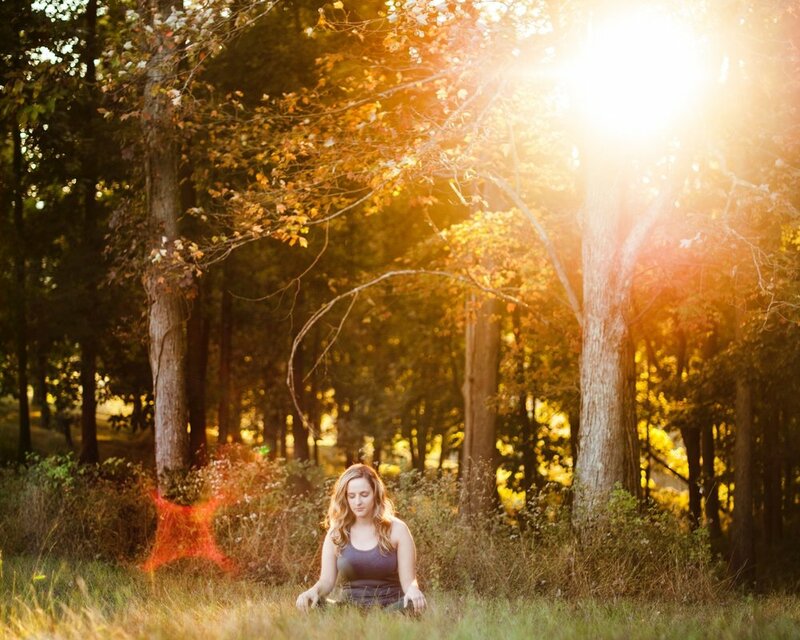 Shinrin-Yoku translates to Forest Bathing is a healthful interaction with nature with proven benefits to health, mental well-being and happiness. Let the forest be your therapist. We will depart from Mother Tree. Individual Bookings made through my superhost Airbnb Experience in the link below or contact me for custom company, group or organizational walks. "It's life changing, I'm living a completely different life than before...."
The Association of Nature and Forest Therapy is sourcing one of the fastest growing integration of health care options where the presciption "go play in the forest" is literally on the list. The growing body of science is here to prove the benefits! There is a specific intention to connect with nature in a healing way. It is not something to rush through. Healing interactions require giving generously of our attention. We encourage mindfulness through an evolving series of suggested invitations. It’s not a one-time event. Developing a meaningful relationship with nature occurs over time, and is deepened by returning again and again throughout the natural cycles of the seasons. It’s not just about taking walks in the forest. The walks are important, but there are other core routines that we can do that will help in our deepening relationship with nature, and in the exchange of health benefits between humans and the more- than-human-world. There is a specific intention to connect with nature in a healing way. This requires mindfully moving through the landscape in ways that cultivate presence, opening all the senses, and actively communicating with the land. It is not something to rush through. Shinrin-Yoku walks are not undertaken with the primary goal of physical exercise. We prefer to avoid the term “hiking” because of its implications of physical exertion. As taught by the Association, Shinrin-Yoku walks are typically a mile or less and range in duration from two to four hours. Healing interactions require giving generously of our attention. We encourage mindfulness through an evolving series of suggested invitations. Each invitation is crafted to help participants slow down and open our senses. As we do this we begin to perceive more deeply the nuances of the constant stream of communications rampant in any natural setting. 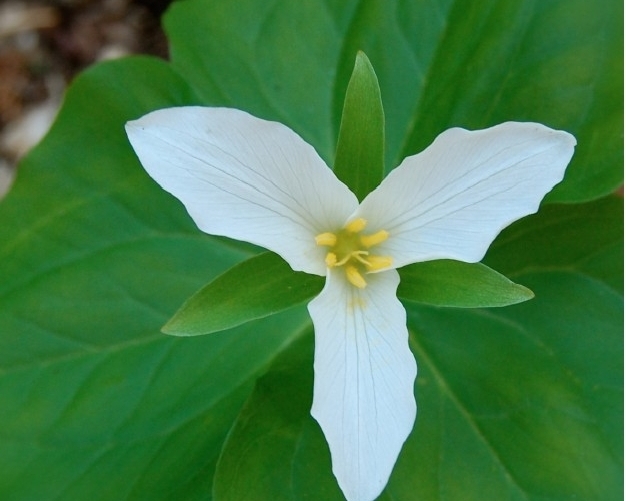 We learn to let the land and its messages penetrate into our minds and hearts more deeply. It’s not a one-time event. Developing a meaningful relationship with nature occurs over time, and is deepened by returning again and again throughout the natural cycles of the seasons. Like yoga, meditation, prayer, working out, and many other worthy endeavors, shinrin-yoku is a practice. And because it is a practice, it is best to learn it from a qualified guide. It’s not just about taking walks in the forest. The walks are important, but there are other core routines that we can do that will help in our deepening relationship with nature, and in the exchange of health benefits between humans and the more- than-human-world. We often incorporate some of these practices in our guided shinrin-yoku walks, particularly the practices of sit spot, place tending, and cross-species communication.